« Rocket Science from 5th class! 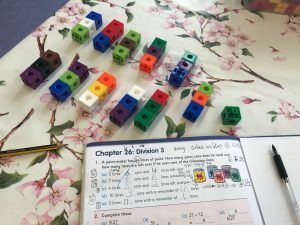 3rd Class are working on division with remainders! Here is a good tip for division sums. Each cube is a litre of paint. It made the working out easy! Watch the blog for some more tips!